Site developers may come across different issues while designing and developing a website. One of such issues is browser compatibility. Same site may look different in various versions of same browser. Testing a site on various version of same browser take too much time. 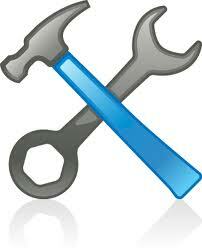 There are some brilliant online tools which allows web developers to test the website for it version compatibilities. IE NetRenderer allows you to check how a website is rendered by different versions of Internet Explorer ie, IE9, IE8, IE7, IE6 or IE5.5.. Only thing you need to do is just type in a URL of desired website and the pixel height(optional) , then click the "Render" button. You will get the screen shot of how your website looks in the selected IE Browser version. This is a very useful and fastest free service provided by GEOTEK. Another site compatibility testing tool I came across is browsershots.org, Here you can test for various types of browser and various versions of same browsers. It also provides test for LINUX, WINDOWS and MAC and BSD versions of browsers. Here user can select what all browser He/She need to test with form a list of browser types and versions. User must enter the website url and check all the required browser types and submit. It will take few minutes to generate all the screen shots for requested browser types. You can download the zipped screenshot folder or view the screenshots on the webpage.